London: Former Tottenham striker Jermain Defoe was presented with a 2008 English League Cup winners' medal on Monday, more than 10 years after Spurs beat Chelsea in the final. 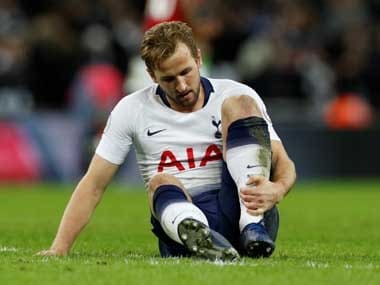 The 36-year-old left White Hart Lane for Portsmouth less than a month before the game at Wembley, and had scored in the fifth-round victory over Manchester City. "I remember contributing to help the boys get to that stage and after that it was actually nice to sit back and watch the lads go on to lift the trophy," Defoe told the English Football League's website. "It's obviously a nice feeling to have been a part of the history of that club, such a big club that had been used to winning competitions over the previous years. It's special," added Defoe. Defoe, who now plays for Bournemouth, was given his medal at the Vitality Stadium and said that he was cheering on his former teammate as Spurs edged Chelsea 2-1 in extra time a decade ago. 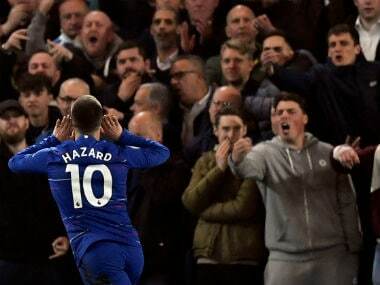 "At the end of the day, they're all your friends and you still want them to win, to get your medal," he said, adding, "it was a great performance against a top Chelsea team, so to win it in the way they did was brilliant." Defoe returned for a second spell at Tottenham later in 2008, and made 363 appearances for the club in total, scoring 143 goals.